Darren Lehmann has a new job at Cricket Australia’s national performance programme – only six weeks after resigning as his country’s head coach. 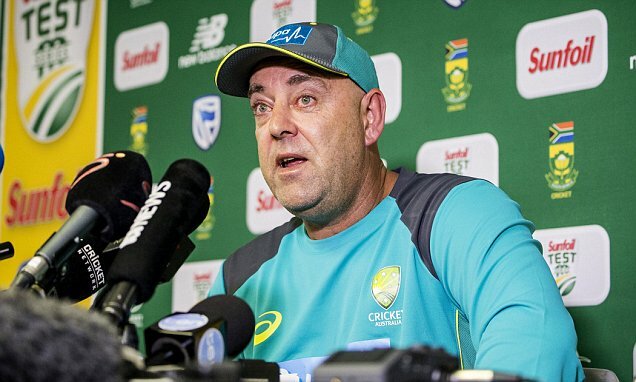 Darren Lehmann assigned new role by Cricket Australia two months after resigning as head coach following ball tampering scandalDarren Lehmann has a new job at Australia’s national performance programmeThe 48-year-old resigned as his country’s head coach only six weeks agoLehmann left his position in the wake of the ball-tampering fiasco in South AfricaThe coach chose to resign despite being cleared of any wrongdoingByPress Association Reporter Published: 06:02 EDT, 9 May 2018 | Updated: 06:02 EDT, 9 May 2018Darren Lehmann has a new job at Cricket Australia’s national performance programme – only six weeks after resigning as his country’s head coach. Lehmann left his position as national coach on March 29, in the wake of the ball-tampering fiasco which was the scourge of Australia’s Test tour of South Africa and resulted in year-long bans for captain Steve Smith and his deputy David Warner. Darren Lehmann has a new job at Cricket Australia’s national performance programmeLehmann’s new role is as an assistant to NPP head coach Troy Cooley, working alongside fellow former Australia Test stars Ryan Harris and Chris Rogers as they mentor the next generation of developing international players.